Round two of fixtures in the Rugby Union domestic leagues season has finished. There were some exhilarating matches across the leagues, as the teams begin to break into their stride for the season ahead. None more so than in France, where Toulon took on Castres in a pulsating clash. The game was incredibly close throughout and Toulon ended up edging it, even although they were trailing 27-20 with 12 minutes remaining. But it was during the 68th minute of the game when the real talking point occurred. The France international and Toulon captain – Mathieu Bastareaud – saw red for a moment of madness. 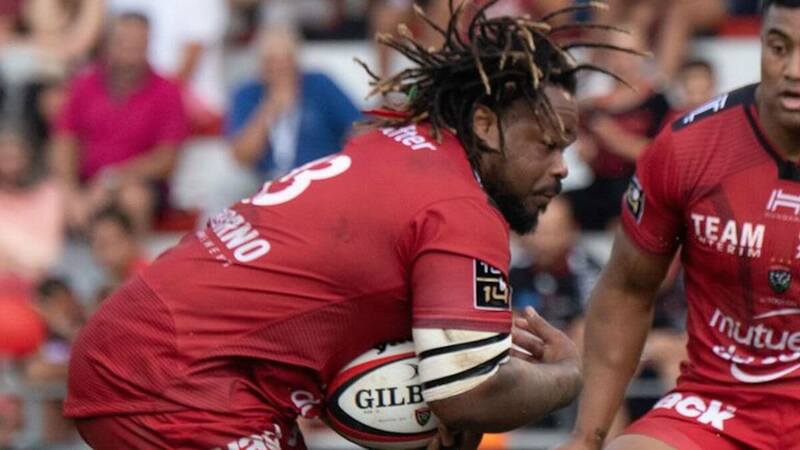 The Sky Sports footage showed Bastareaud dropping to his knees during a passage of play and striking his opponent’s head with his forearm. It appeared that his actions were induced by a hit on his teammate that he took exception to. Not what you would expect from a seasoned international captain though, is it? From a psychological perspective, Rugby is very different to just about every other sport. The aggressive, adrenaline-filled nature of the sport is unlike any other. The levels of arousal associated with competing at the top level are huge. Therefore, we can just about fathom when we hear of moments like these occurring, especially under the heightened pressure of elite competition. However, this does not mean we condone them. In fact - far from it. But what, if anything, can be done to prevent moments like this happening again in Mathieu Bastareaud’s career, or any other Rugby player’s career who may experience what psychologists call an emotional hijacking? An emotional hijacking, or as the popular American psychologist – Daniel Goleman – refers to it - an amygdala hijacking - occurs during the fight, flight, or freeze response. It is essentially an immediate and powerful emotional response that is out of proportion to the stimulus and impairs an individual’s ability to think clearly and act rationally. Goleman referred to it as an amygdala hijack, as it is within this almond-shaped brain structure where the process occurs. Clearly, Bastareaud experienced an amygdala hijack on Saturday and lost control of his emotions in the heat of the moment. But why? How could a top-class international player who has been involved in pressurised matches for many years, completely lose his head and commit this violent action? It can, at least in part, be attributed to low levels of self-awareness and self-control, which are key skills within the framework of emotional intelligence. Emotional intelligence (EQ) essentially involves two parts: first, becoming aware of how emotions in ourselves and others drive behaviours and second, developing the skills to manage these emotions intelligently, to leverage our personal strengths. Self-control is a key emotional intelligence skill, and the good news is that it can be systematically trained and developed. Within sport, self-control can be defined as the ability to manage emotions and restrain actions to stay calm when under pressure. It involves the capacity to manage shifting moods to maintain composure and an optimal level of arousal, to think clearly and act appropriately. In order to develop self-control, first, we need to gain insight into how it works, and then we can implement specific tactics and strategies to build it over time. Now within Rugby, I’m aware that there are situations where too much self-control might hinder the performance of players, as there is a need for aggression and steely levels of competitiveness. However, in the case of Mathieu Bastareaud - and many others before him - building their levels of self-awareness and self-control, would result in them being better equipped to intelligently manage their emotional responses during the heat of competition. Developing these emotional skills enables athletes to understand and reflect on their emotions and use this information to arrive at accurate judgements and take positive, constructive action. At RocheMartin, we work with athletes and coaches to systematically build their emotional and social skills, to enhance performance and overall wellbeing. Feel free to drop me a message at joe@rochemartin.com if you'd like to hear more about what we do.